The DSC8000 drying and storage cabinet maintains a high level of disinfection for endoscopes for up to 72 hours, maintaining their microbiological status for that period of time. 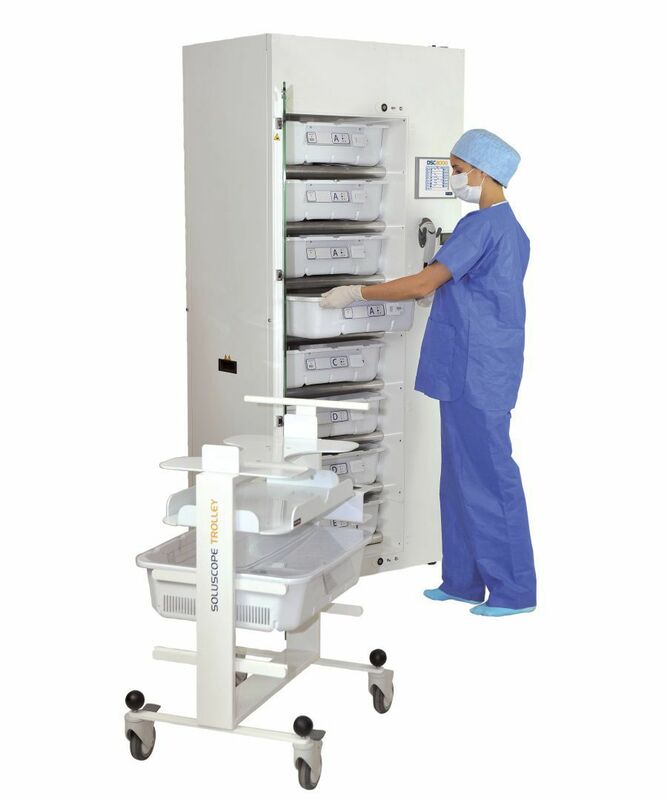 Since the endoscopes are stored in individual lidded trays, less manipulation and handling is required when moving the instruments to and from the cabinet. 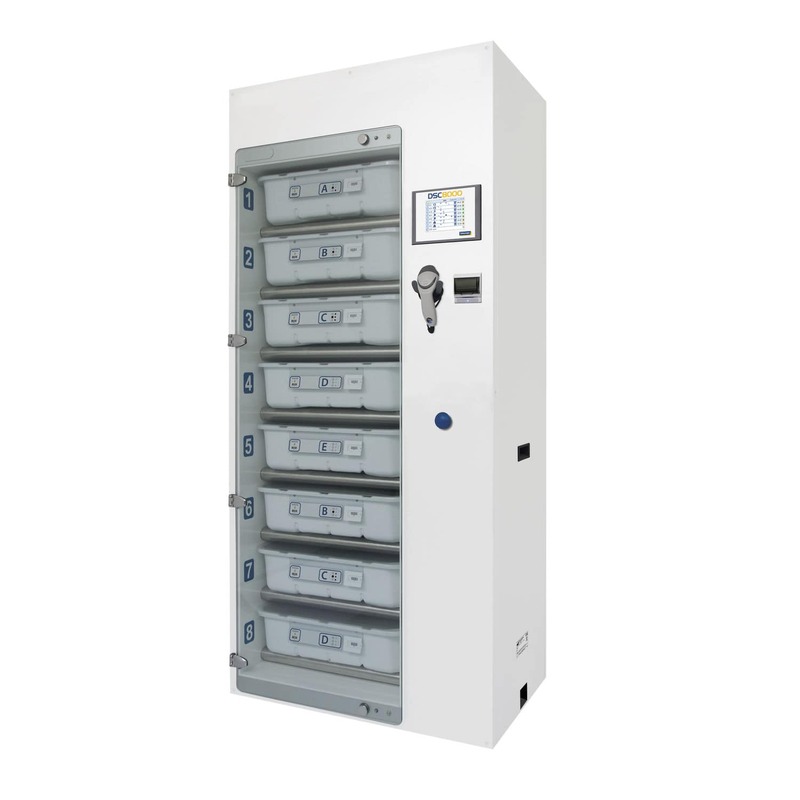 Internal airflow blows air along the outside of the instruments and through the instruments' two interior channels. 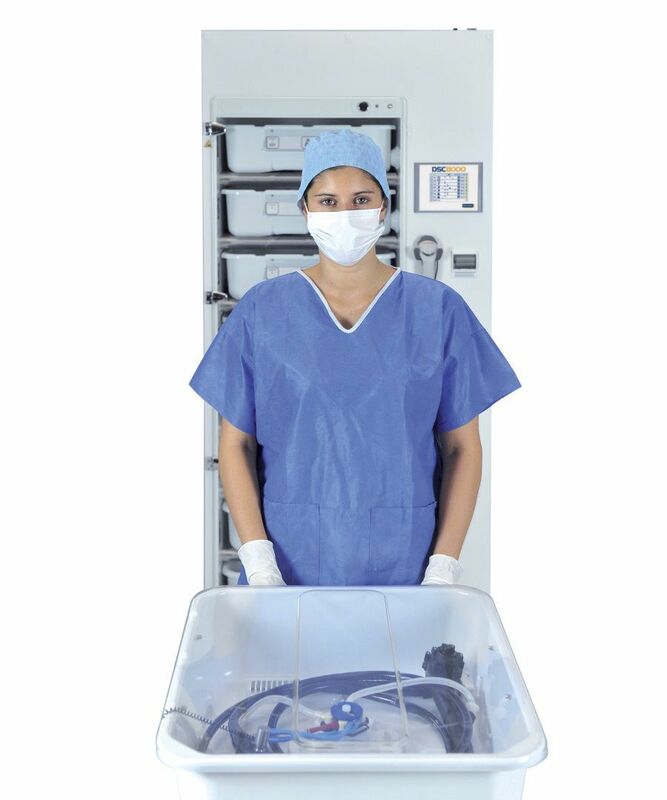 Connectors remain with the endoscopes throughout the process to ensure they have the same microbiological status as do the endoscopes. 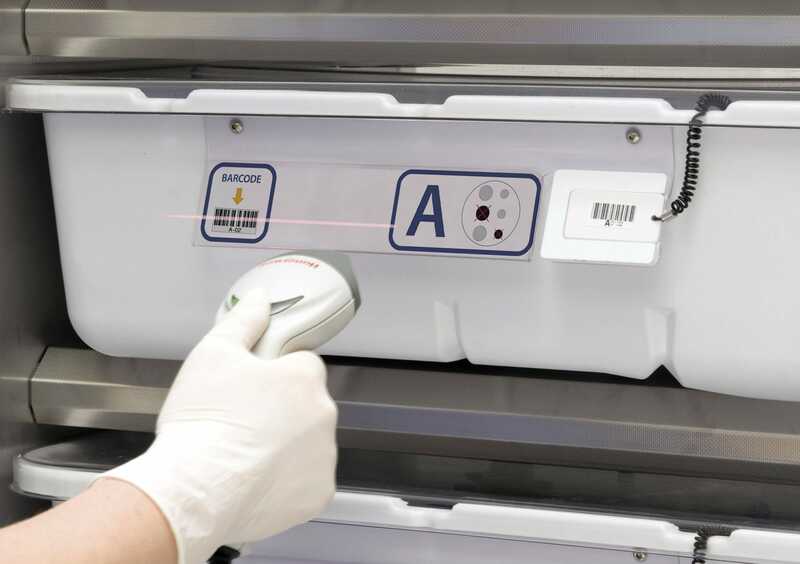 A touch screen control panel enables complete traceability of the drying process by allowing the status of each of bar-coded items being treated to be monitored and stored for later printout. 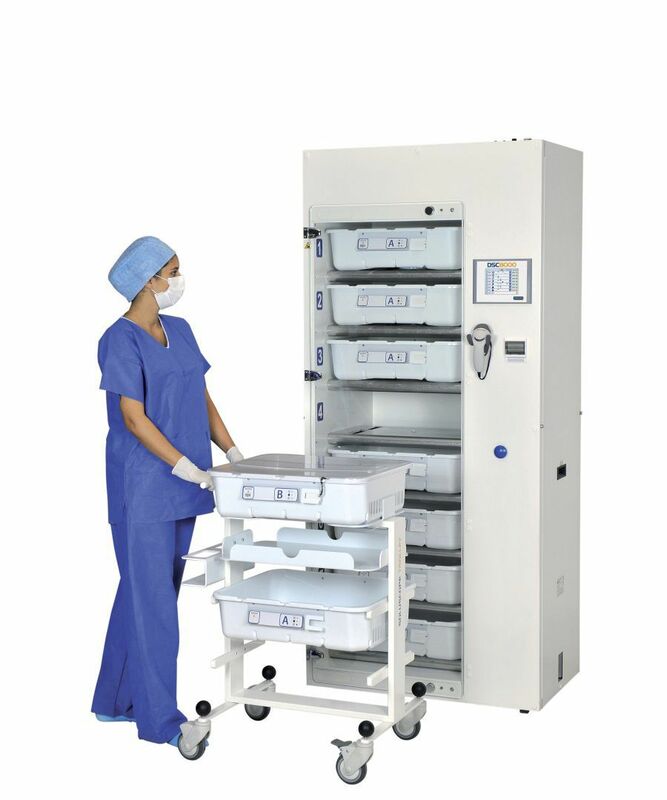 Up to 60 endoscopes can be stored at any one time.